I had some really exciting opportunities come through work. 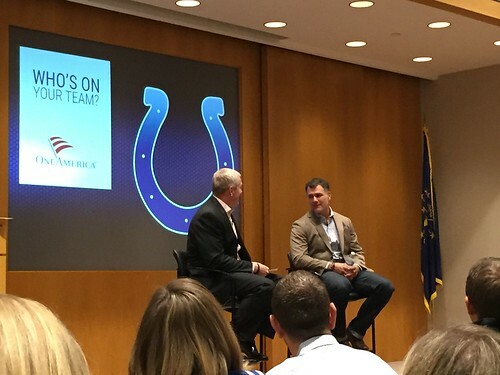 First was getting to hear Colts kicker Adam Vinatieri share his insights and experience on team work and how it relates on and off the field. This guy is so cool! (I sound so old.) He’s a living legend that will be in the Hall of Fame someday. He just took the Most Consecutive Field Goal record to 43 and he’s the oldest player in the league at 43! He was very humble and grateful for what life has afforded him. Next, it was time for some women empowerment. 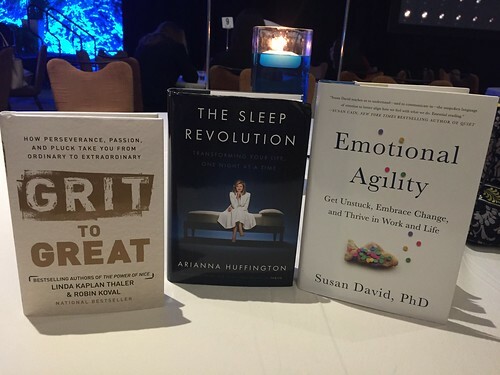 I’m totally going to name drop because the speakers I had access to are globally recognized power-house women. 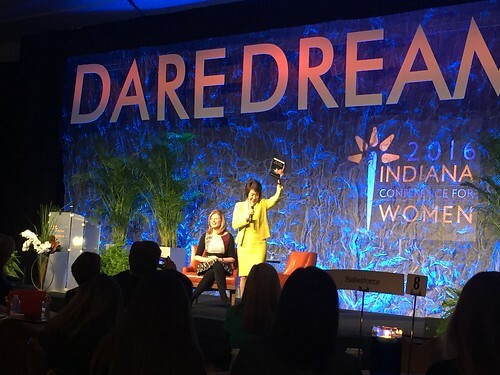 I kicked off my morning at the 2016 Indiana Conference for Women listening to Arianna Huffington speak on the importance of sleep and how it has shaped her career. An area I definitely recognize I can do better in. 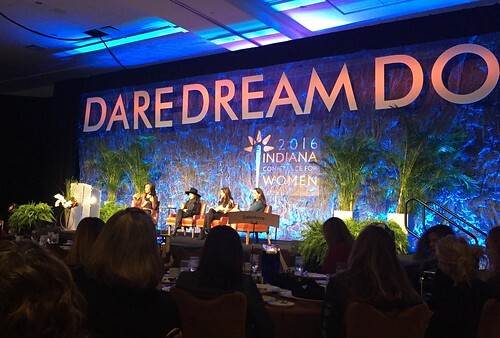 After a breakout session, our lunch panel consisted of Moira Forbes, yes like the magazine. Jessica Herrin of Stella and Dot fame. 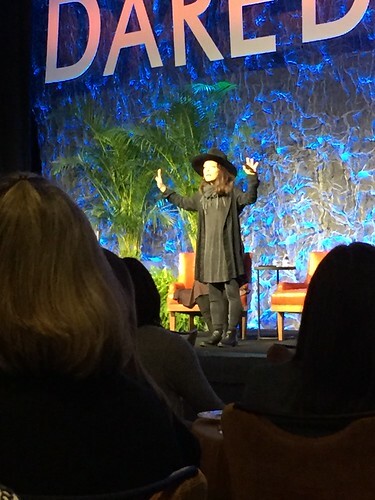 Along with Miki Agrawal who is revolutionizing women’s hygiene. Miki has been racking up the awards lately, 2015 Social Entrepreneur of the Year at World Technology Summit and her Company THINX was named Time Magazine’s Best New Inventions of 2015. And I’m pretty sure she’s in her 20s. I left with a head full of concepts, a heart full of passion, and a bag full of books that will soon be read.